I’m a fan of John. Some people thinks he gets a little churchy in his books. But I have to say that in my last management job, his Laws of Leadership helped me rock that job. I was really surprised with it. I actually didn’t think it would be that good. I believe that this book trailer did a lot of things well. The only downside for the this book trailer for me was the middle. The actual pitch was a little long for my liking. But overall I think it’s something that writers and publishers can learn from. I am definitely putting a scratch and sniff section in my next book. Brilliant! Why didn’t I think of that. 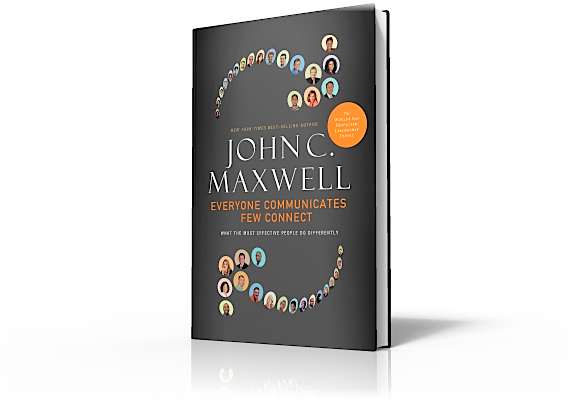 This entry was posted in Book Marketing, Book Trailers and tagged Book Marketing, book trailer, everyone communicates few connect, john c. maxwell, online marketing, youtube. Bookmark the permalink. Thanks for the feedback. Very helpful. Thought you also might like to see the book landing page we created for this Maxwell release for more social media content, particularly the slideshow. You can see it at http://www.ThomasNelson.com/Connect. Thanks for the comments Jeff. You guys are doing a great job.